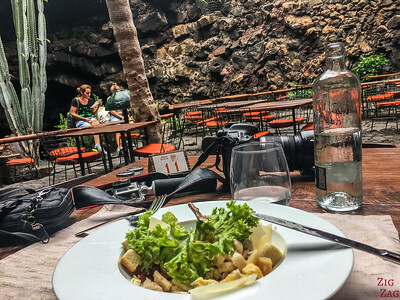 Jameos del Agua Lanzarote is one of the most famous places to visit on the island. 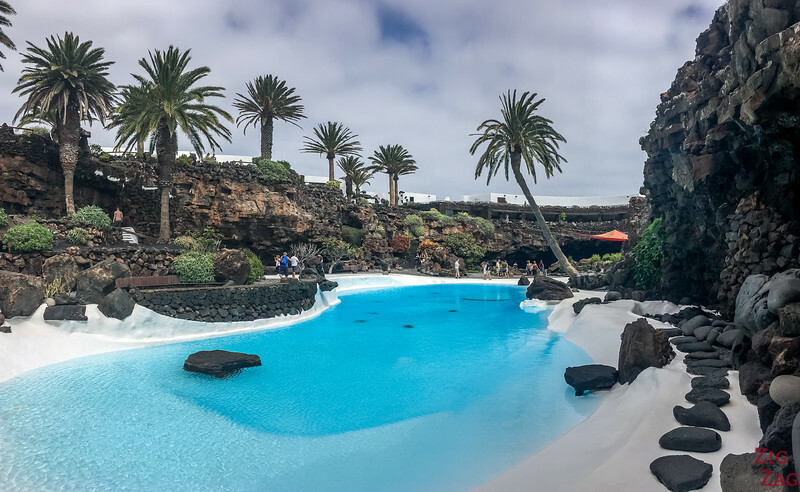 César Manrique optimised the mix of architecture and nature in natural caves created by lava tunnels: a unique place to discover! Below is my guide with many photos to help you plan your visit. 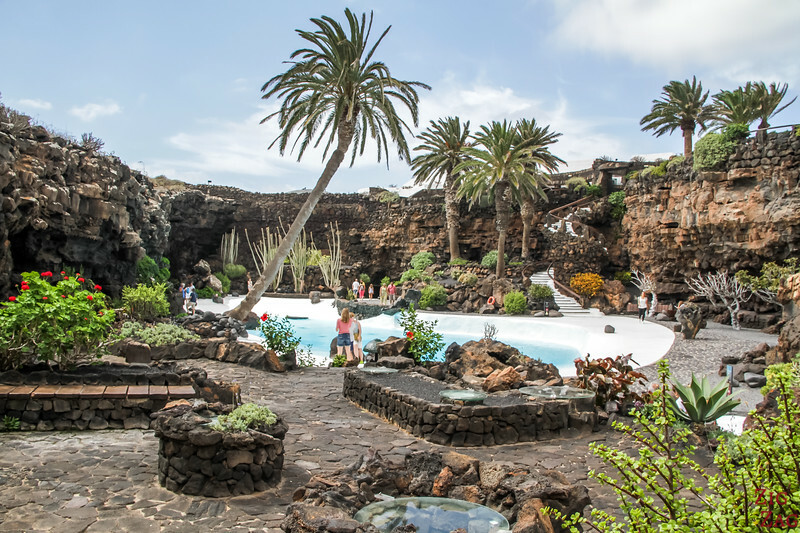 Why visit Los Jameos del Agua? Why? 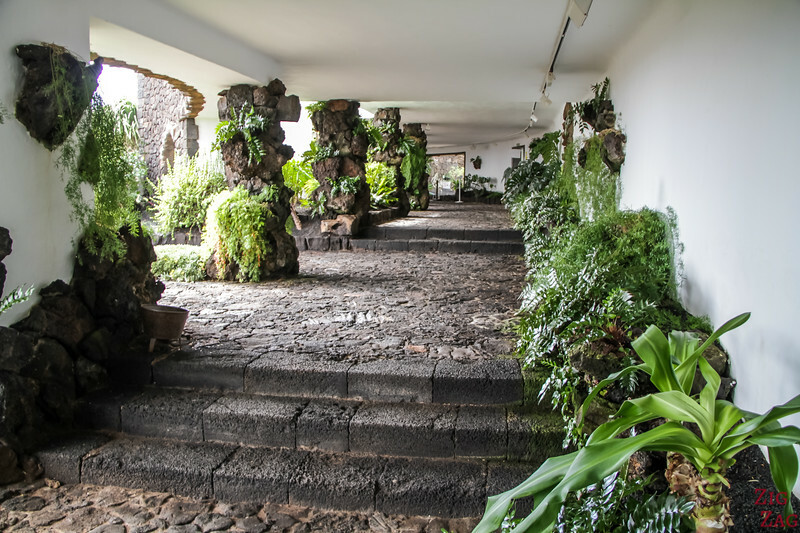 Because it combines de architectural and artistic talent of César Manrique with the landscape of a long lava tube where part of the roof has collapsed and created open caves. It is an culture and tourism center and something you will not see anywhere else. 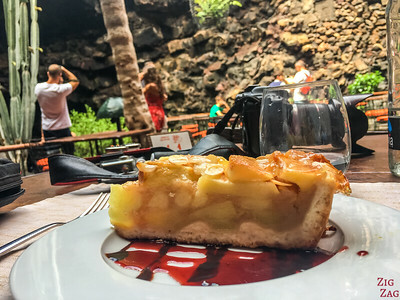 This combination is truly unique to Lanzarote. 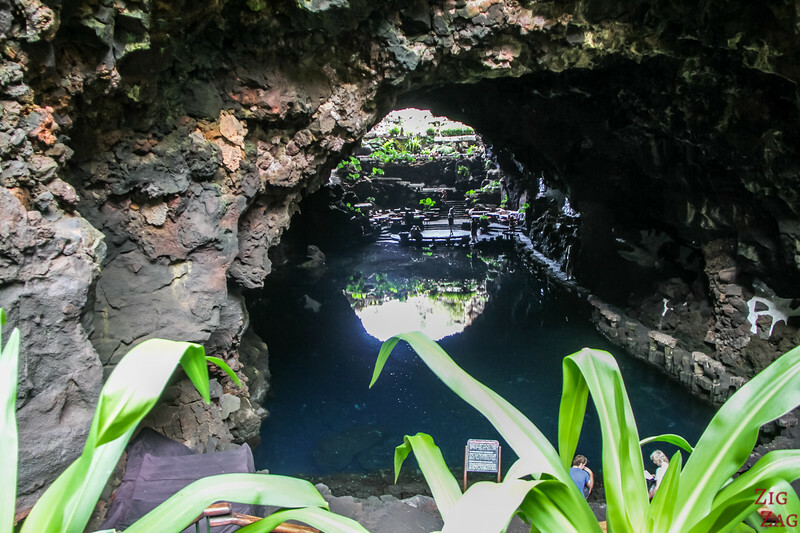 There is much to see : the lava tubes, a restaurant, an subterranean salt lake, an incredible pool, a museum as well as an auditorium. It is home to a unique species of blind crabs: a yellow and white crustacean that is only 1cm long. They are easy to spot is the salt lake. 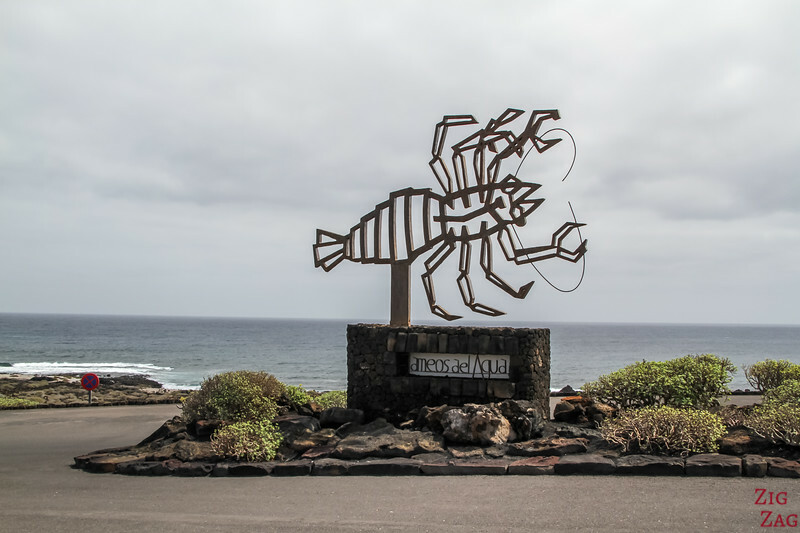 Probably the second most famous location in Lanzarote after Timanfaya National Park. Some steps, especially at the beginning. 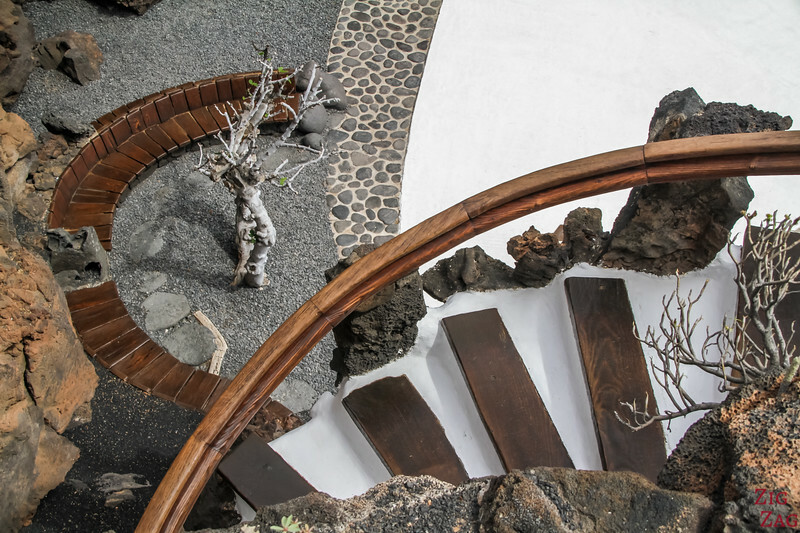 César Manrique has designed symbols for each of the sites he has envisioned. You can find the sculpture right by the entrance. 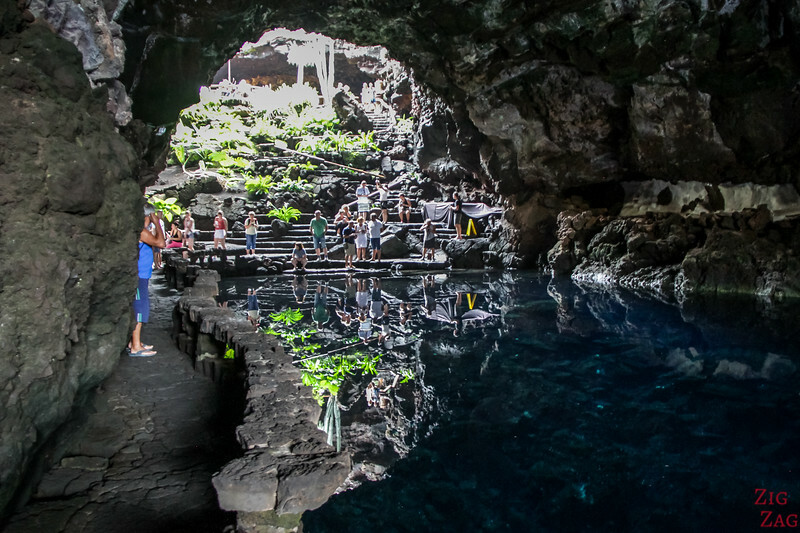 Once inside, the reach the floor of the lava tube, you walk down a staircase inside the first cave: Jameo Chico. 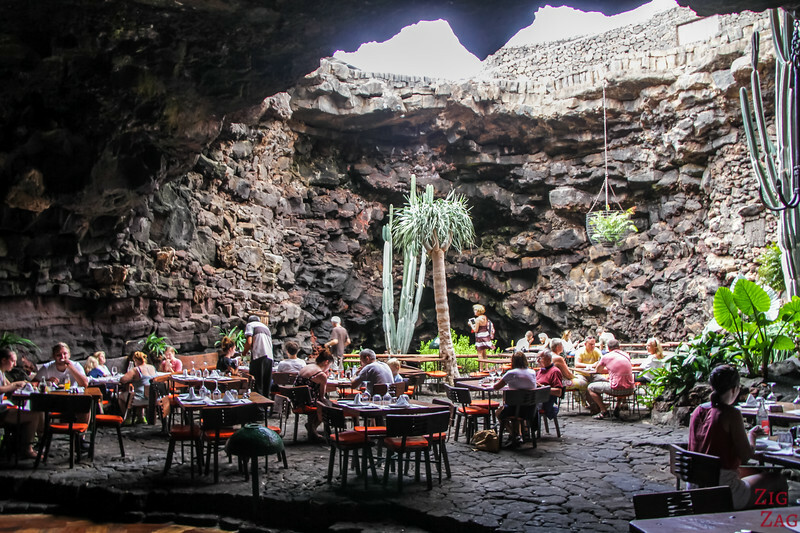 You arrive at the level of the Jameos del Agua Restaurant. 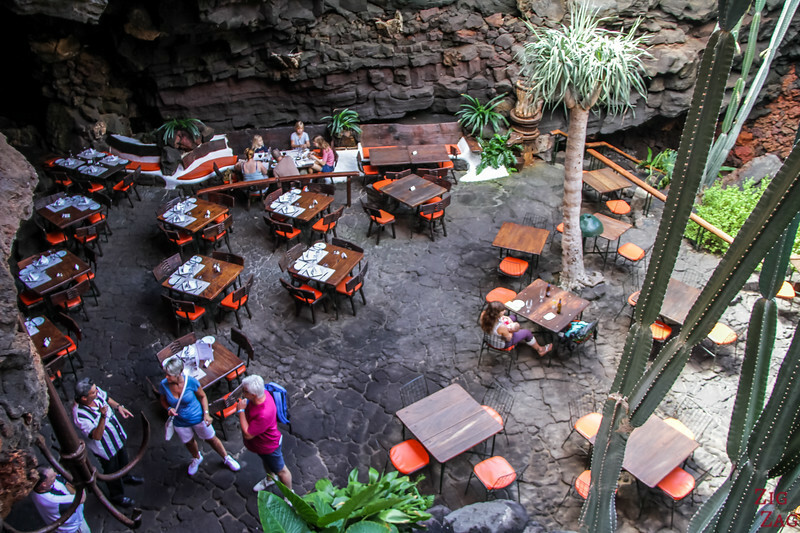 You can have a drink or a meal and enjoy the unique atmosphere of the lava tunnel. I personally enjoyed a lunch break there. The caesar salad and the cake were tasty. Of course, because of the location it is a bit more expensive but the experience was enjoyable. 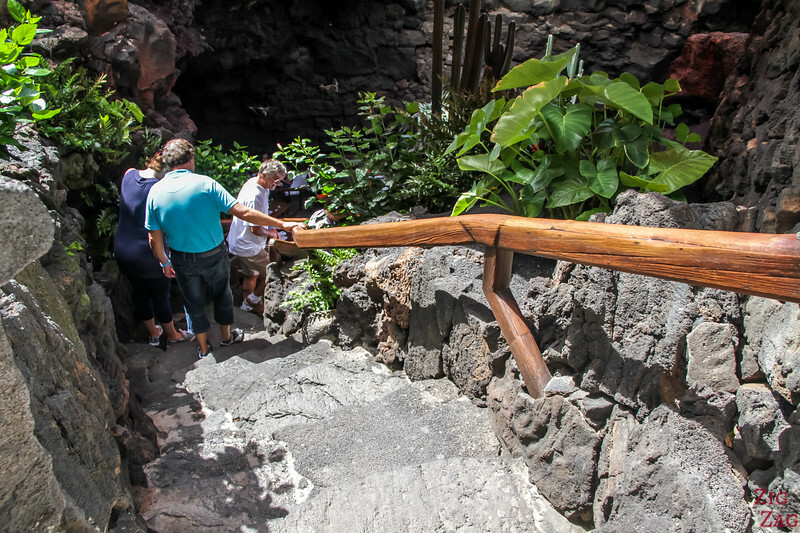 After the restaurant, you have to walk down a few more steps and to reach a section of the lava tube that has not collapsed. Inside is the salt lake with clear water. 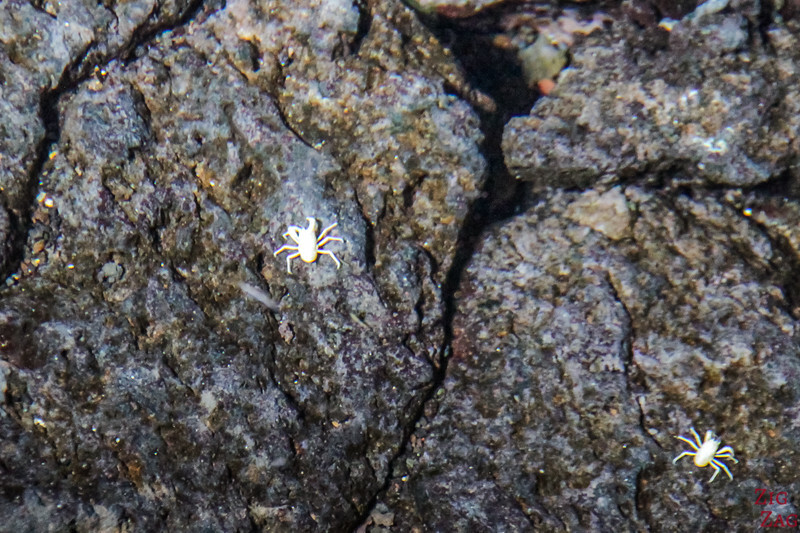 You can seat by the shore of the lake and spot the very tiny white crabs, sometimes refer to as Jameitos. The Munidopsis Polimorpha is around 1cm long and blind. The Lake is regulated by the Atlantic ocean and its water is really clear. Note that they are very sensitive to oxide, so don't throw anything (especially coins) in the lake. To reach the next section of the visit, you walk along the lake and climb a few steps up. You arrive at the next big opening in the lava tube. This cave is really large, so it is called Jameo Grande. 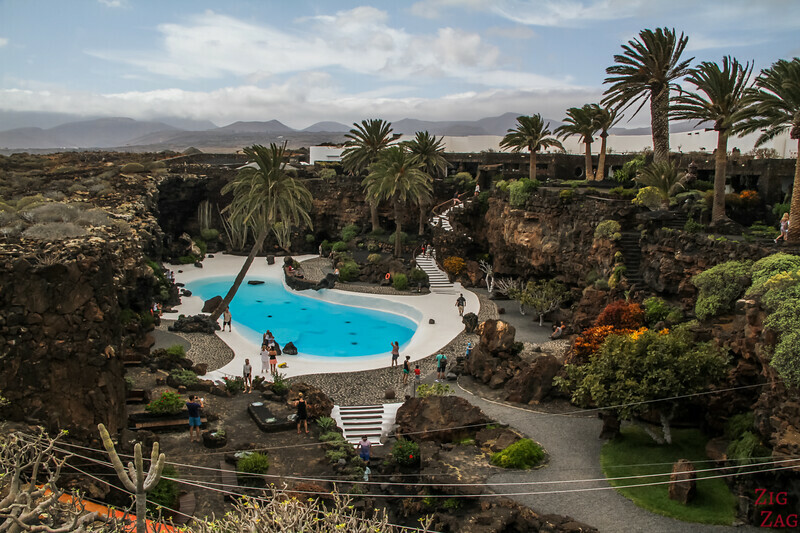 It is home to the most famous swimming pool in Lanzarote. It is so inviting!!! Yet nobody can swim in it. I've heard that only the King of Spain can, but I can't confirm it. The pool is surrounded with palm trees and other tropical plants. It is really a unique sight contrasting with the dark lava rock. I recommend to spend some time here. 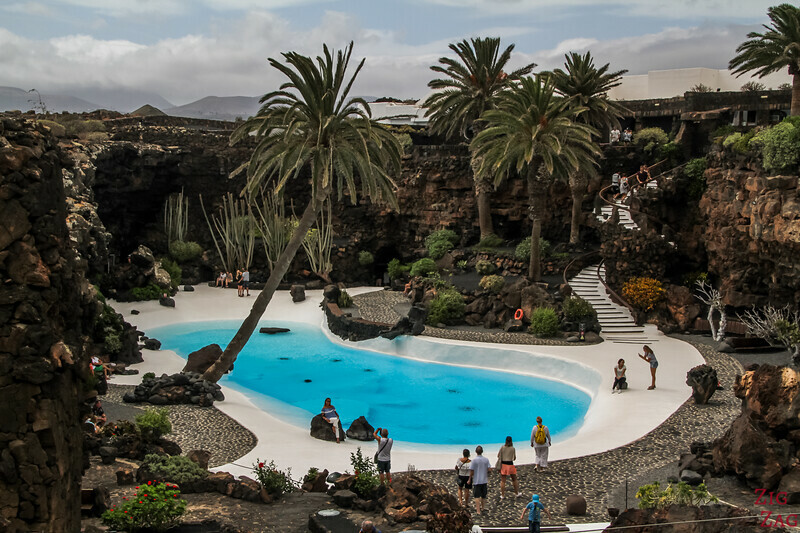 Sit down and enjoy the contrasts imagined by César Manrique. Even with many tourists around, it is quite peaceful. 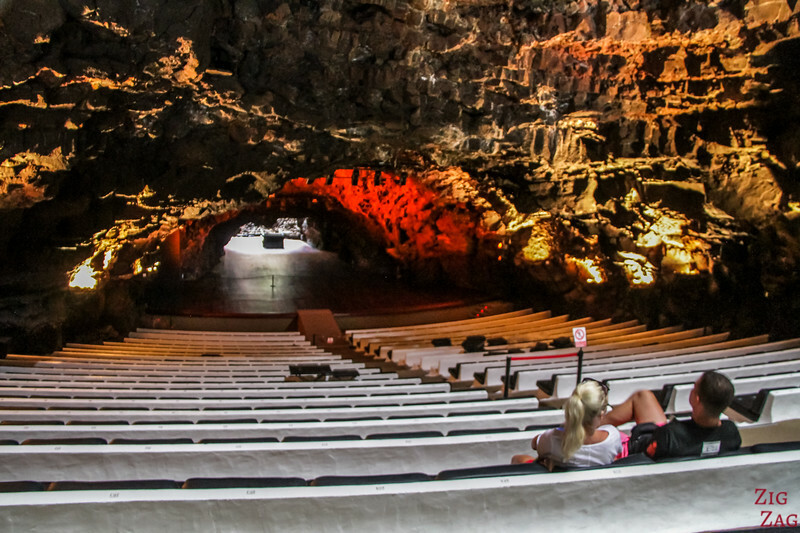 At the end of the cave is an auditorium. It is the only one in the world is such a lava cave. It can host 550 people. For information about concerts and events, scroll down on this page. Once you are ready to leave this eldorado, you can enjoy the white staircase to the upper level, back on normal ground. 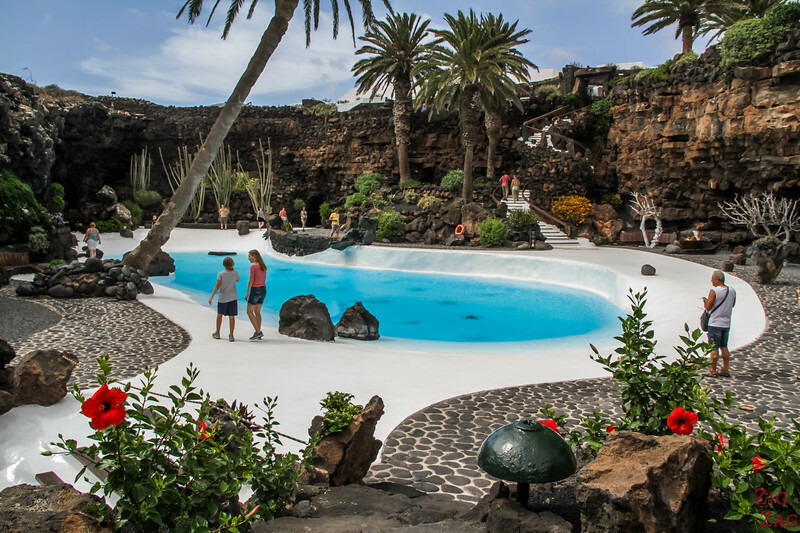 From there you can walk around and find many great angles to admire the pool the trees, the lava and the architectural pieces. 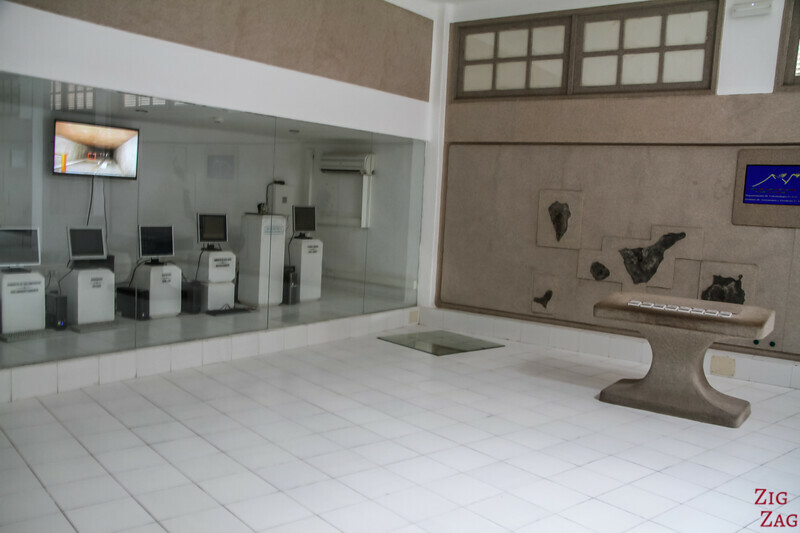 You end the tour with a visit of the museum Casa de los Volcanes which means House of the Volcanoes. It provides information about the volcanoes in Lanzarote, the Canary islands and the world. To be honest, I did not find it fascinating, I preferred the Timanfaya Visitor center. The most interesting pieces are all the equipment measuring the earth temperature and movements. And then you reach the exit via this beautiful corridor. And just across the main road you can visit Cueva de los Verdes. 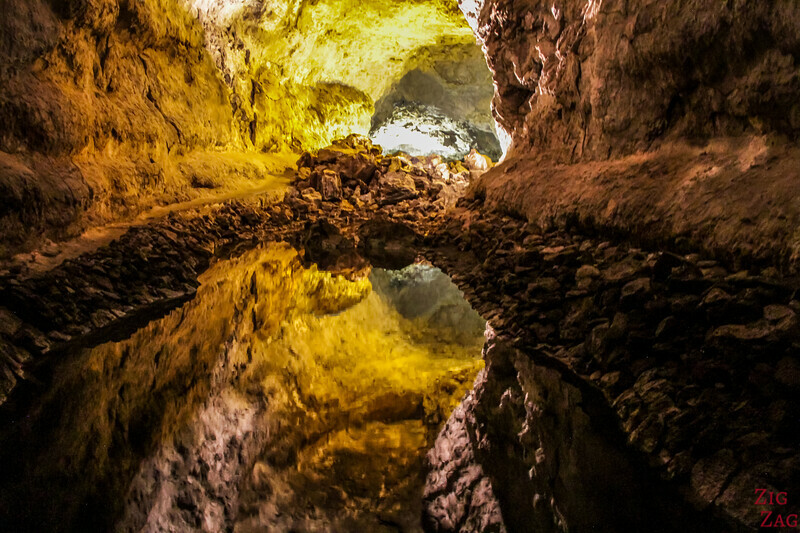 It is another section of the lava tube that is more enclosed and natural. Unique place to visit, isn't it?